Description - Achieving a beautiful wood look that requires little to no maintenance has never been easier than with COREtec One vinyl flooring. These planks are completely waterproof, highly durable, and resistant to dents, making them ideal for any room of the home. 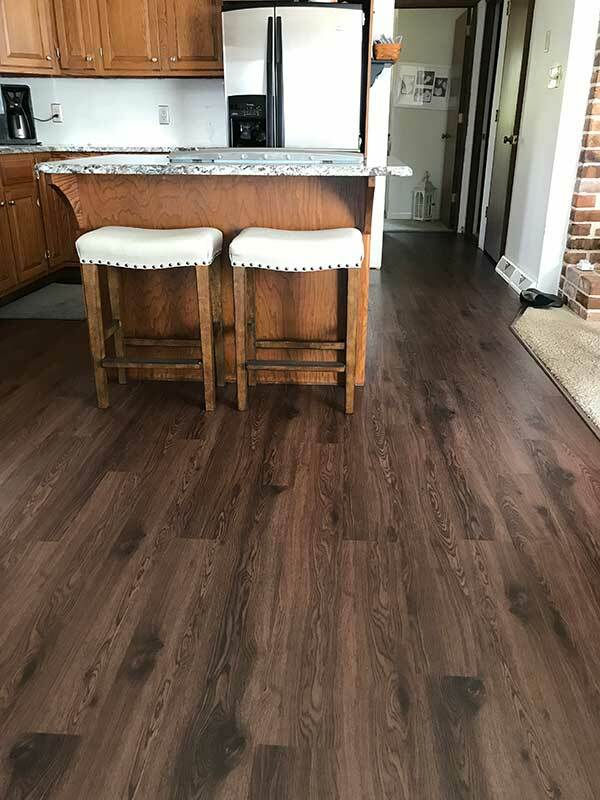 A no mess, glue-less installation, these luxury vinyl planks can be installed with minimal floor prep over existing hard surfaces and will help to hide sub floor imperfections. With a 25 year residential warranty, you are sure to love your new flooring for many years to come. Material – COREtec One vinyl flooring is constructed with virgin vinyl, and contains no hazardous metals or chemicals. The extruded core, called Hydracore, is composed of recycled wood, bamboo dust, limestone and virgin PVC. Size – 6" x 48". Recommended Uses – COREtec One planks have been successfully installed bathrooms, basements, bedrooms, offices, kitchens, dining rooms, hallways, family rooms, dens, studios, cafes, and more. Luxury vinyl - real wood look. 25 Year Residential wear warranty. 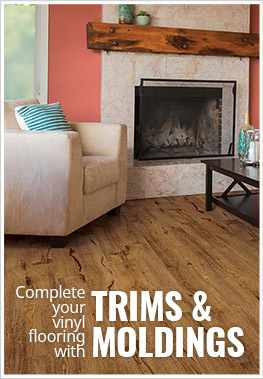 COREtec One planks are 6” wide by 48” long and are the perfect finish to any room. The real wood look and feel of the flooring combined with the attractive visuals make this a flooring you have to have. While these planks may cost less than the other USFloors Coretec Plus products, you won't sacrifice quality or durability for a lower cost. We love these planks, and we are confident you will too. The revolutionary construction of USFloors’ COREtec products is something to tell your friends about. Simply amazing from the ground up, the core layer is 100% waterproof and high density, meaning that it can be installed anywhere! And don’t forget about the high quality luxury vinyl top layer - the realistic look of wood or stone is enough to fool even the most knowledgeable flooring expert. This durable floor is complete with a superior wear layer built to withstand moderate foot traffic. COREtec flooring is 100% waterproof, kidproof, and petproof, making it the perfect flooring for any full home complete with furry friends. Providing scratch resistance, you can rest assured your beautiful floors will look new for years to come. Are the planks glossy? Does it have a shine? They are not finished with a glossy surface. Can you install cabinets, island, appliances on top of this floor? Yes you can, it is recommended that you glue those areas down. How often does the pattern repeat? COREtec One has a pattern repeat of 6 planks. Had approximately 240 sq.ft. of Peruvian Walnut product professionally installed in our dining area. Looks very nice (actually looks more like a medium light oak rather than a typically darker walnut) Total installation time, including removal of existing carpet and surface prep. and final clean-up, was about 6.5-7 hrs. The product has a bit more texture to it than I had expected from the showroom samples, but it is very nice and not slippery to the barefoot. The installation was a bit more pricey than it should have been, but anyone fit enough and with some shop tool expertise should be able to do a creditable install by oneself. We purchased these planks in order to redo our living room, they worked out great! Installation was easy and finished floor looks beautiful! Delivery was fast and customer service was great. The only negative thing I can say about this product is that it isn't completely scratch resistant.